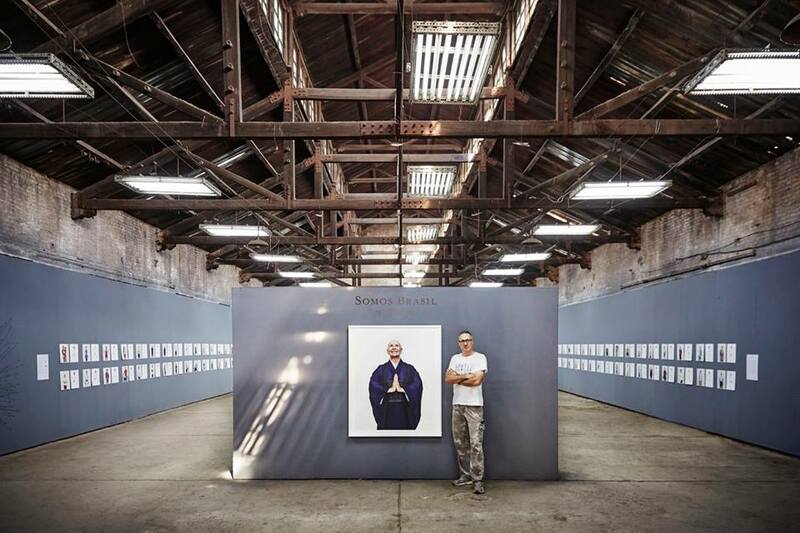 For the past year Atlas of the Future has been excited by creative and cultural projects with a social mission. We’ve been chatting with the artists, filmmakers, photographers, illustrators, curators and collectives who are building a better – more colourful and imaginative – world. We call this storytelling project #CultureFutures. In November we introduced you to some of those creators in a public event at Goldsmiths, University of London. The audience got to hear the stories of four brilliant and beautiful projects and meet the minds behind them. ► British artist Marcus Lyon reveals the beauty and diversity of identities. ► With Little Inventors, Dominic Wilcox brings crayon drawings to life as real life gadgets. ► Dan Baron Cohen transforms lives with creative performance in the Amazon. ► Circular design expert Liz Corbin opens her open source recipe book. 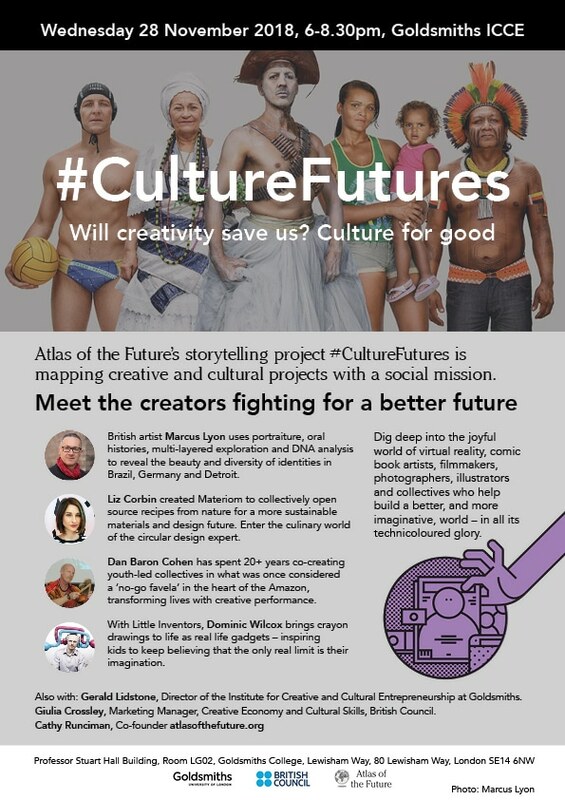 CultureFutures is a collaboration with Goldsmiths Institute of Creative and Cultural Entrepreneurship and the British Council Creative Economy. Sign up to AtlasNews to stay in the creative loop and be the first to hear about upcoming events.